Vitamin C also known as L-ascorbic acid is a crucial nutrient for our bodies. Eating foods high in vitamin C to get natural sources of the vitamin should be everybody’s goal. Vitamin C is involved in 8 enzymatic reactions and when the body is short of this nutrient symptoms like scurvy start showing up. Vitamin C is one of best known and safest vitamins out there. Many people will pop vitamin C like it is going out of style when they have a cold. 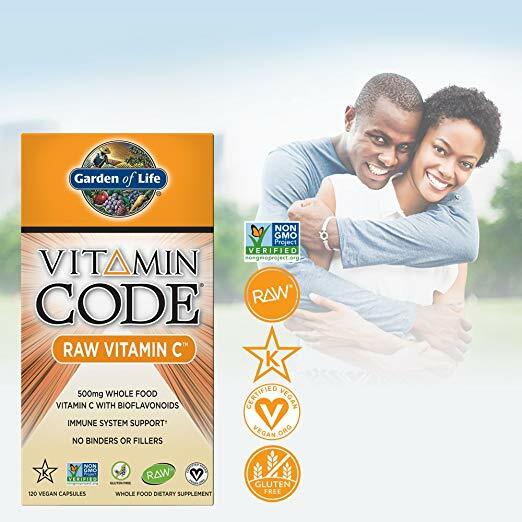 Almost all the products for cold and coughs have vitamin c included in them. 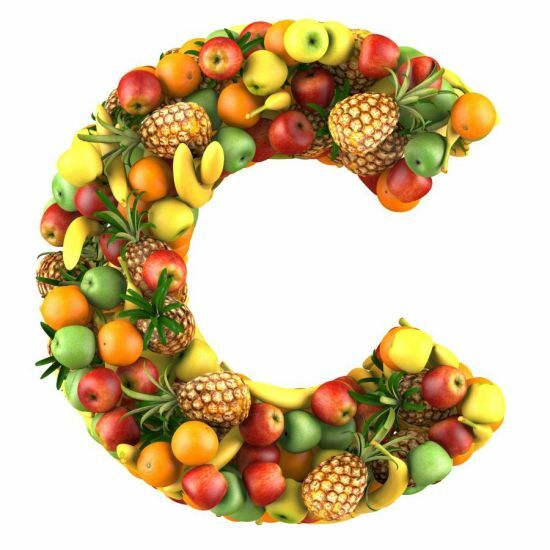 The body uses Vitamin C to produce collagen which essential to the body for skin, bones and blood vessel walls. It is also an antioxidant hunting for harmful particles called free radicals. Higher Level of Vitamin C in the blood has been correlated with ideal nutrition and a sign of overall health. Which is why it is important to eat foods high in vitamin C.
Terminalia ferdinandiana, gubinge, murunga over 1000 mg Terminalia ferdinandiana, gubinge, murunga is a almond size fruit the is yellow green and ripens in March. The plant grows throughout the tropical woodlands of NW Australia. The amazing part is the vitamin C levels which range as high as 1000 to 5000 mg per 100g and could be possibly the highest known levels of vitamin C of any fruit. Camu Camu 2800 mg Myciaria dubia is also known as camu camu, cacari or camocamo and is a small bushy tree found in the Amazon rainforest in Peru. It produces a cherry looking fruit that has high vitamin c content. Barbados Cherry 1600 mg Barbados Cherry – also known as West Indian Cherry, Acerola and Wild Crape Myrtle it is small fruit bearing tree that can be found in South America, southern Mexico and Central America. This fruit is one of the top foods high in vitamin c but also the vitamin c from this plant is better absorbed by people than synthetic ascorbic acid. This makes this fruit highly sought after and do to this huge demand the small tree is now being grown in Texas and areas of Asia. Hippophae 690 mg Hippophae also was known as Sandthorn, Sallowthorn, Seaberry, and Sea-Buckthorns is a shrub native over in parts of Europe and Asia. This shrub has high vitamin C content and has been used in cosmetics, nutritional supplements, jams and fruit wines. Gooseberry 445 mg Gooseberry is an edible fruit that grows on Gooseberry bushes. The bush is native to Europe, west and Southeast Asia, Northwestern Africa. You can eat Gooseberries as-is or use them as ingredients in pies or jams. There are drinks like wines and teas that are made from Gooseberries. 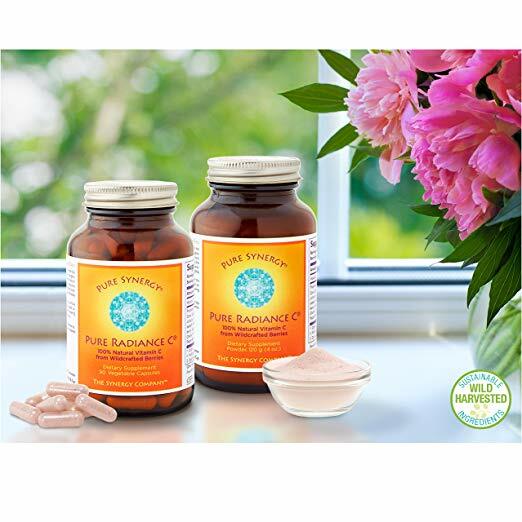 Rose Hip 420 mg Rose Hip not only has a high amount of Vitamin C it also has lycopene which is another strong antioxidant plus vitamin A, Vitamin B, and Essential Fatty Acids. Rose hips have been used in jams, beverages like herbal teas, wine and many other forms of foods and drinks. Chili Pepper 140 to 240 mg Chili Peppers which originated in the Americas. The substance that gives Chili Peppers its kick is capsaicin. Also, to the Vitamin C found in Chili Peppers, the peppers are also a good source of Vitamin B6, Potassium, Magnesium and Iron. The capsaicin has even been used as a topical agent for arthritis pain and herpes zoster pain. Blackcurrant 200 mg Blackcurrant is a shrub that grows berries and is native to parts of Central and Northern Europe and can also be found in Northern Asia. The fruit can be used in Jams all the way to alcoholic beverages. It is not only a food rich in Vitamin C but has potassium, iron, manganese and phosphorus. There have been some studies that have shown it may boost the immune system, and it can even reduce triglycerides and cholesterol. The seed oil has been used to treat symptoms of menopause, premenstrual syndrome, and even breast tenderness. More information can be found here at WebMD some other applications mentioned on WebMD include Gout, Liver Problems, Diarrhea, Coughs, Colds, Insect Bites and other conditions. Parsley 130 mg Parsley is not only a good source of Vitamin C but it a source for folic acid, Vitamin K, Vitamin A, Lycopene and other various antioxidants. Broccoli 90 mg Broccoli is food that has a lot going for it. Not only is it high in Vitamin C and dietary fiber but it has diindolylmethane, selenium, carotenoids, lutein and even beta-carotene. These help with anti viral, anti bacterial and have shown to have anti-cancer properties. Raw Broccoli is the best as boiling Broccoli will substantially reduce the helpful nutrients. Steaming failed to demonstrate to reduce the useful nutrients so keep that in mind when preparing your next meal. Brussels Sprouts 80 mg Brussels Sprouts also contain a possible anti-cancer nutrient called sulforaphane and indole 3 carbinols when is supposed to repair cells and block cancer cells from growing. Boiling like broccoli reduces brussels sprouts healing abilities. Roasting brussels sprouts have been known as one of the best ways to prepare them for consumption. The smell from overcooking them is what can give most people displeasure in consuming the healthy green vegetable and has been the bud of many jokes about kids eating vegetables. Elderberry 60 mg Elderberry has also been used in Traditional Chinese Medicine, and it may help with respiratory issues like allergies and the flu. Papaya 60 mg Papaya has been used from shampoo to food. It can even be used as a meat tenderizer. Papaya contains a chemical called papain which is known to break down proteins, carbs, and fats. Papaya has also been known to be used for stomach problems and even parasite infections. Strawberries 60 mg Strawberries are not only a food high in Vitamin C, but they also contain manganese and phytochemicals. This little red delicious plant has been said to increase HDL the good cholesterol, lower blood pressure and protect against cancer. No current studies have shown these rumored benefits of strawberries. You can’t go wrong unless you are allergic to them as they are fat-free and an excellent low-calorie food. Orange 50 mg Oranges have shown that they could lower high blood pressure and stroke. Orange juice is not only known for its Vitamin C it also contains as much potassium as an average banana. It also contains B Vitamins, Folate and Thiamin. Lemon 50 mg Lemons have been used in the past to treat and prevent Scurvy. Lemon’s high Vitamin C made them perfect for sailors to use in the past to avoid this disease. Lemon’s have also been used to treat dizziness, nausea, and vomiting for people with Meniere’s disease. It has also been used as an aid in digestion and to increase urination. Pineapple 45 mg Pineapple is an excellent low-calorie high Vitamin C content food. It is also a good source of dietary fiber and an enzyme bromelin which aids in digestion especially protein. Pineapple also contains excellent levels of manganese. Hawaii use to be the world’s largest pineapple producer but now has fallen to the Philippines, Brazil and Costa Rica that are now the biggest producers. Cauliflower 45 mg Cauliflower one little cup gives the body enough Vitamin C to help make collagen which is essential for your skin, tendons, ligaments and blood vessels. This veggie also provides potassium, fiber, and folic acid. These little cruciferous vegetables can help the body detoxify carcinogens before they damage cells by stimulating enzymes in the body. Kale 40 mg Kale is one of the healthiest leafy green items available on Earth. This supper Green has very low calories, high Vitamin A, Vitamin K, Vitamin C and contains some much-needed minerals like copper, potassium, iron phosphorus and manganese. It also has high levels or carotenoids, flavonoids, lutein and zeaxanthin which haven been known to help fight cancer and promote eye health. This is one plant that can even help when cooked as the fiber content helps lower blood cholesterol which in turn lowers the risk of heart disease. Cantaloupe 40 mg Cantaloupe also known as muskmelon, rockmelon, sweet melon can range in size from 1 to 10 lb. Iran, India, and Africa are where cantaloupe originated. Cantaloupe needs to be washed before cutting because the surface can contain harmful bacteria. After cutting the cantaloupe make sure to refrigerate the rest and consume in under three days. Garlic 30 mg Garlic is easy to grow high vitamin C food and can grow year round in mild climates. Garlic is usually used as a seasoning in cooking to add flavor. Grapefruit 30 mg Grapefruit is grown on a subtropical tree and is known for its sour to semi-sweet fruit. Grapefruit sometimes mixes well with certain foods so make sure to check the interactions before consuming. Raspberries not only being high in vitamin C but the fiber content is very high in proportion to its weight. On top of that, these little red berries are a low glycemic food and have a moderate amount of vitamin K.
Tangerine, Mandarin Orange 30 mg Tangerine and Mandarin Orange are closely related. Being an excellent source of vitamin C, folate, and beta-carotene plus these little orange-colored citrus fruit contains some potassium, magnesium, vitamins B1, B2, B3, and Lutein. The skin has shown promising effects with mice in preventing obesity, type 2 diabetes, cancer and possible even atherosclerosis. Reference can be found below. Spinach 30 mg Spinach is one of the first nutritional green foods. Spinach has been found to be rich in antioxidants. It is a great source of vitamin A, vitamin C, vitamin E, vitamin K, magnesium, folate, iron, vitamin B2, calcium, potassium, vitamin B6, folic acid, copper, protein, phosphorus, zinc, niacin, selenium and even omega 3 fatty acids. Lime 30 mg Lime are an excellent source of vitamin C. Limes are used for zest in cooking and for flavoring in drinks. Mango 25 mg Mango could possible be a useful inhibitor of prostate and skin cancers. The possibility of this comes from Mango’s high nutrition value and phytochemicals. More information can be seen from the reference on the Mango. Blackberries 20 mg Blackberries are not only an excellent source of Vitamin C but they are also a great source of vitamin K, manganese, and dietary fiber. Cranberries 13 mg Cranberries are another good source of dietary fiber, vitamin C, and manganese. Blueberries 10 mg Blueberries not only being low glycemic but they contain good amounts of dietary fiber, vitamin C, and manganese. This long list of foods rich in vitamin C should give everyone an idea of something they can enjoy eating while obtaining this precious vitamin needed by our bodies. Supplements can help fill shortages of vitamin C, but plant sources vitamins are the best option if possible. We know how hard it is to eat a healthy diet when always on the run in today’s life.